Members of the Bectu union at five cinemas across the capital have been on strike for almost two years. Workers at five London cinemas are back on strike. 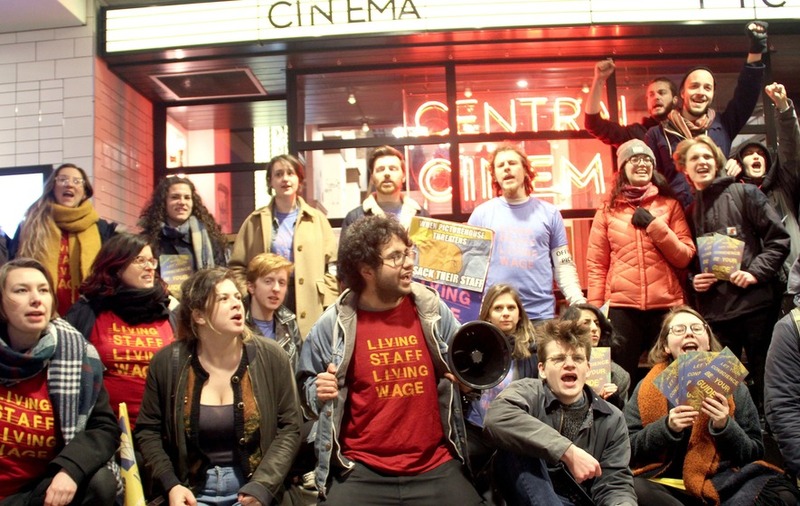 Members of the Bectu union at five Picturehouse cinemas across the capital have staged strikes for almost two years over the London living wage, sick pay, maternity and paternity pay, and union recognition. They are also striking on Tuesday to demand the reinstatement of four union representatives, Bectu said. Labour leader Jeremy Corbyn has previously called on Picturehouse to “reinstate the four sacked Bectu reps with immediate effect and to sit down with the union to discuss ways to resolve this longstanding dispute”. On International Women’s Day, hundreds of people joined Picturehouse cinema workers as they staged a strike backed by Mr Corbyn over the pay row. The staff, at the Brixton Ritzy and the Central, Crouch End, East Dulwich and Hackney Picturehouses, are campaigning to be paid the voluntary living wage. A spokesman for the cinema chain previously said that “Picturehouse offers some of the best pay and benefits in the industry. “In London we pay the equivalent of £9.92 per hour for our front-of-house staff, and many staff earn significantly more. In a statement, Picturehouse said: "Today’s strike is backed by just a small minority of staff. And beside the Ritzy, all other cinemas will remain open for our customers. "It’s time for BECTU to end their strike and think about the best interests of their members. It is irresponsible and unnecessary for BECTU to continue this dispute when we reached a pay agreement with the rest of our staff in September last year."